The 2018–2019 stamp features a Mallard pair and was painted by Bob Hautman. The 2017-2018 stamp features a trio of Canada Geese and was painted by James Hautman. Jennifer Miller's gorgeous painting of a pair of Ruddy Ducks is on the 2015-2016 stamp. The 2013 stamp featured a Common Goldeneye and was painted by Robert Steiner, who also won the contest in 1998-1999 with a picture of a Barrow's Goldeneye. Robert Steiner's 1998 stamp of a Barrow's Goldeneye, raised nearly $25 million for refuges in a single year. The very first duck stamp sold for $1 in 1934 and was designed by "Ding" Darling (who now has a refuge named for him). The 1950-51 stamp (Trumpeter Swans by Walter A. Weber) was the first to be chosen by competition. Sherrie Russell Meline won the 2005 contest with her Ross's Goose, becoming only the second woman to have won so far. In 1960, this Redheads stamp by John A. Ruthven was the first to top $5 million in sales. Black-bellied Whistling-Ducks by James Hautman (1990). In the movie "Fargo," a character named Hautman is a strong Duck Stamp contender. These Cinnamon Teal from 1971 remain the highest-selling stamp with almost 2.5 million sold. By Maynard Reece. For more on the history and future of the stamp, join the Friends of the Migratory Bird/Duck Stamp (see link below). Among the U.S.’s many spectacular federal and state lands, it pays to remember the wildlife havens that are the National Wildlife Refuge system, administered by the U.S. Fish and Wildlife Service. This system of more than 500 areas is managed primarily for the benefit of wildlife, and they are great places to see birds of all kinds, including waterfowl, shorebirds, and songbirds. One of the best ways to support National Wildlife Refuges is to buy a Migratory Bird Hunting and Conservation Stamp, or “Duck Stamp,” every year. It’s a win-win-win: it proudly proclaims your support of public land, it funnels money directly to the refuge system, and it gets you free entry to the refuges all year. Tip: You can buy the 2018–2019 stamp at many post offices, National Wildlife Refuge offices, and sporting-goods stores, as well as online from USPS and Amplex. 1. Over $1 billion for conservation and counting. The first stamp was issued in 1934. It cost $1 (about $18 in today’s dollars) and sold 635,001 copies. By law, the funds raised go directly to habitat acquisition in the lower 48 states. By now, stamp sales have surpassed $1 billion and helped to protect 6.5 million acres of wetland and grassland habitat. 2. A 79-year tradition of beautiful wildlife art. The Migratory Bird stamp is a beautiful collectible and a great artistic tradition. Since 1949, the design of each year’s duck stamp has been chosen in an open art contest. The 2018 stamp, showing a pair of Mallards, was painted by Bob Hautman, a veteran of the contest who has won it twice before (see a gallery of all stamps back to 1934). 3. A bargain at $25. Ninety-eight cents of each dollar spent on a stamp goes directly to land conservation for the National Wildlife Refuge System. 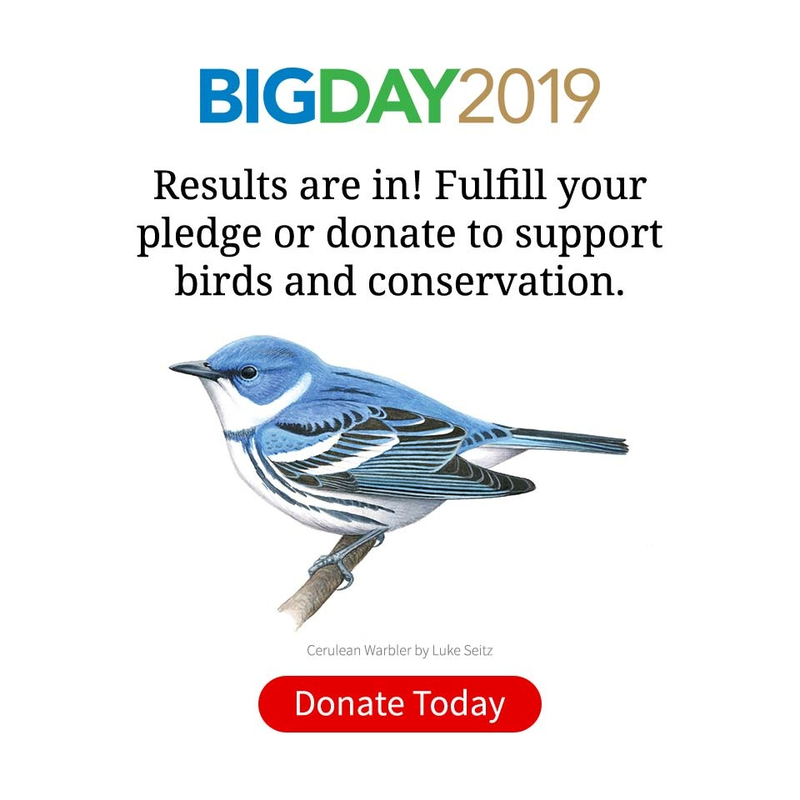 This $25 purchase is perhaps the single simplest thing you can do to support a legacy of wetland and grassland conservation for birds. 5. Save wetlands; save grasslands. Since 1958, the U.S. Fish and Wildlife Service has used stamp revenues to protect “waterfowl production areas”—over 3 million acres—within the critical Prairie Pothole Region. The same program also protects declining prairie-nesting birds in the face of increasing loss of grasslands. As a result, refuges are among the best places to find grassland specialties such as Bobolinks, Grasshopper Sparrows, Clay-colored Sparrows, Sedge Wrens, and others. 7. It’s your free pass to refuges. A migratory bird stamp is a free pass for an entire year to all refuges that charge for admission—so your $25 could even save you money. 8. 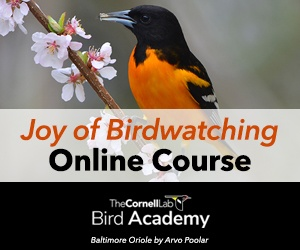 As bird watchers, let’s get in on the secret. Though it’s long been a fixture in hunting circles, the Migratory Bird Hunting and Conservation Stamp is one of the best-kept secrets in all of bird conservation. It’s time to buy and show your stamp! The Cornell Lab is a strong supporter of the Migratory Bird Stamp, and we’ve often written about its value as a direct aid to conservation—for example, in this 2009 column by Lab director John Fitzpatrick. You can buy the stamp at many U.S. Post Offices, National Wildlife Refuges, and sporting-goods stores. You can also order the stamp online at the USPS store and from the stamp’s printer, Amplex (both stores add a charge for shipping).